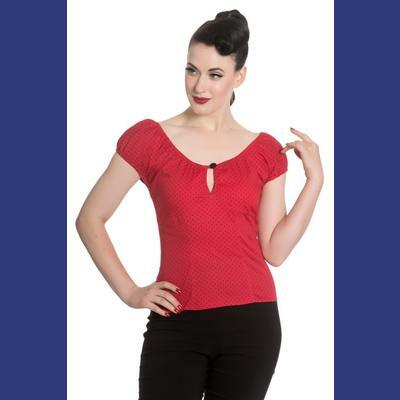 Miranda Red Gypsy Top by Hell Bunny has a black polkadot print. It features a keyhole opening with button and loop fastening at the centre front. 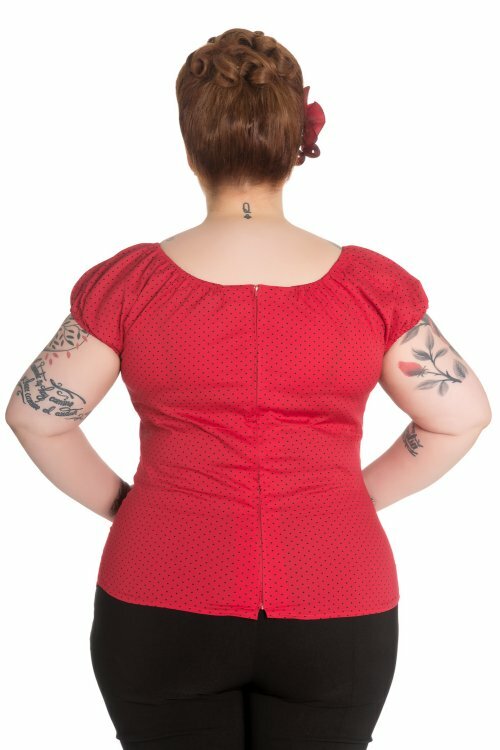 The neckline and sleeves are elasticated. 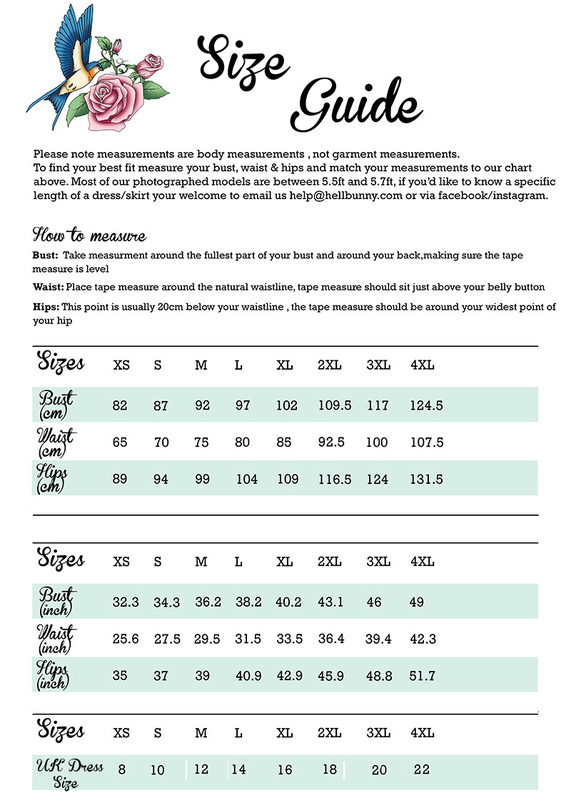 The lower bodice is shaped for a flattering fit. There is a zip in the centre back seam. Fabric content: 98% Cotton, 2% Elastane. Sizes uk8-16, plus sizes 18-22.